Today's Inspiration: Luis Garcia Mozos: "...a revelation"
Luis Garcia Mozos: "...a revelation"
Hello and welcome back! I'm still somewhat involved with a personal matter but in my absence David Roach, who has guest authored TI on several previous occasions, has once again graciously stepped in to share another fascinating series with us! Many thanks David - hopefully I'll be back on track next week. 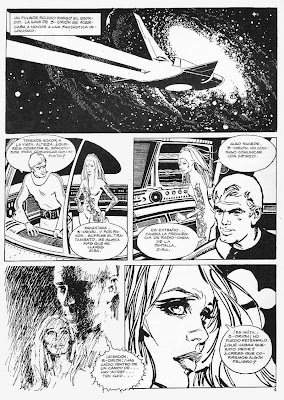 When I first discovered the work of Luis Garcia Mozos in the pages of Vampirella it was a revelation- I had genuinely never come across work that was quite so realistic, yet also so atmospheric and challenging before. Some 30 years later those same strips still sit next to my drawing board as a constant source of inspiration. The covers may have fallen off through constant re-readings long ago, but then surely that’s a sign of a truly great comic. So, this week I hope to describe Luis’ remarkable life and career and of course, illustrate it with as many great pictures as we can squeeze in. 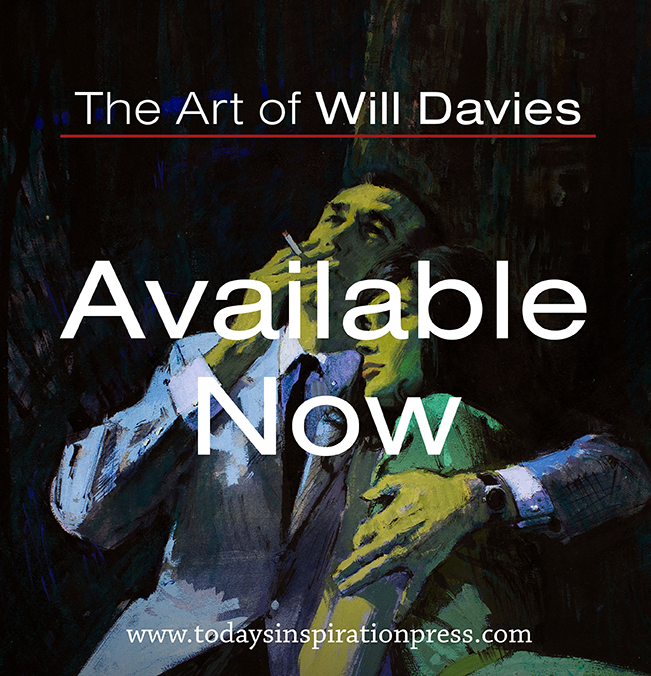 All quotes are taken from either personal correspondence with the artist or from an interview on the Tebeosfera website. Luis Garcia Mozos was born in the small Spanish village of Puertollano in 1946. Remembering his early inspirations he has said the he “learned to draw by copying Emilio Freixas when I was 8 or 9 before moving to Barcelona.” But as the example here by the 7 year old Luis shows, he was clearly a child prodigy of enormous talent even before becoming besotted by comics. 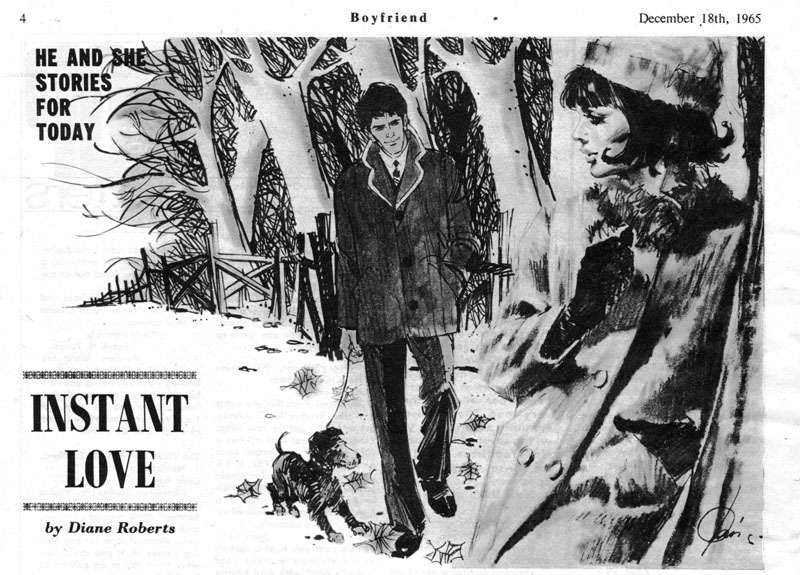 Luis Garcia’s first known British comic strip was True Life Picture Library #365 in 1963 and he soon also appeared in Love Story, Romeo, Boyfriend and Mirabelle. 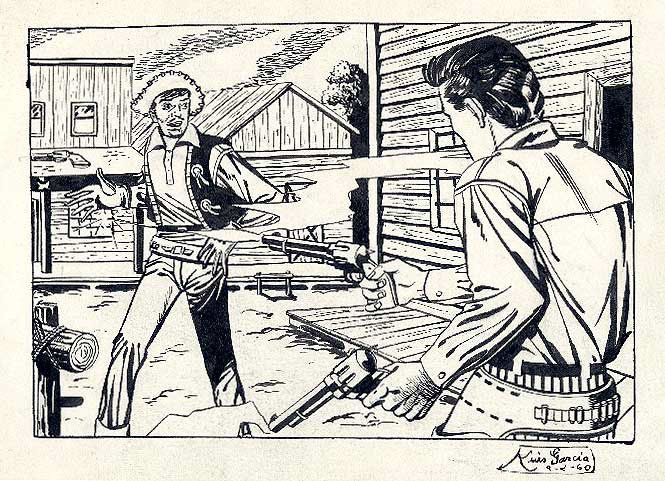 He was only 17 but had already been drawing comics for several years. Luis’ first professional work was drawn for the publishing house Bruguera under the directorship of Francisco Ortega, astonishingly he was only 14 years old but even at that age showed an assured draughtsmanship that belied his years. He was also ambitious and within six months had drawn up some romance strip samples that were polished enough for Josep Toutain to invite him over to the rival Selecciones Illustrada studio – better known simply by its initials "S.I." S.I.’s big attractions were not only its roster of brilliant young artists but also the opportunity to earn serious money drawing for foreign clients across Europe, particularly in Britain. British publishers were not widely regarded as generous employers (certainly not by the indigenous talent) but the difference in exchange rates between the Peseta and the pound meant that for Spanish artists the pay was far better than anything they could find at home. There was also something of a creative cache in working for Britain, a country that was entering a period of great creativity, in contrast to the oppression of Spain under Franco. The money they earned from comics enabled the young artists to buy the latest fashions or be the first to hear the newest rock and roll records, as well as allowing them the opportunity to challenge themselves artistically. So the appeal for a young artist like Luis was obvious. “When I went to S.I. at the age of 15 I was impressed by the quality of the artists... but then I was disappointed when I saw the strips they were copying from… though soon I was copying from the same artists myself! The characters in the studio were diverse and sometimes reactionary. 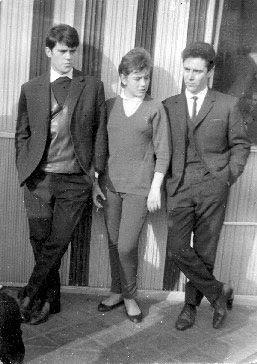 The artists there were variously friendly, proud, jealous, stupid, funny and even psychotic (in the case of Antonio Romero, a seemingly quiet, friendly, peaceful artist who killed his own father with an axe)." "At Bruguera, when I was only 14, I discovered Alex Raymonds’ Rip Kirby which really impressed me and then at S.I. a year later the artists who influenced me the most for romance comics were Pepe Gonzalez for the beauty of his girls and Jordi Longaron (below) for his technique. Soon after I discovered the work of Noel Sickles, who was a great influence on Longaron, and Alberto Breccia who made a profound impact on my work with his drawing and technique”. 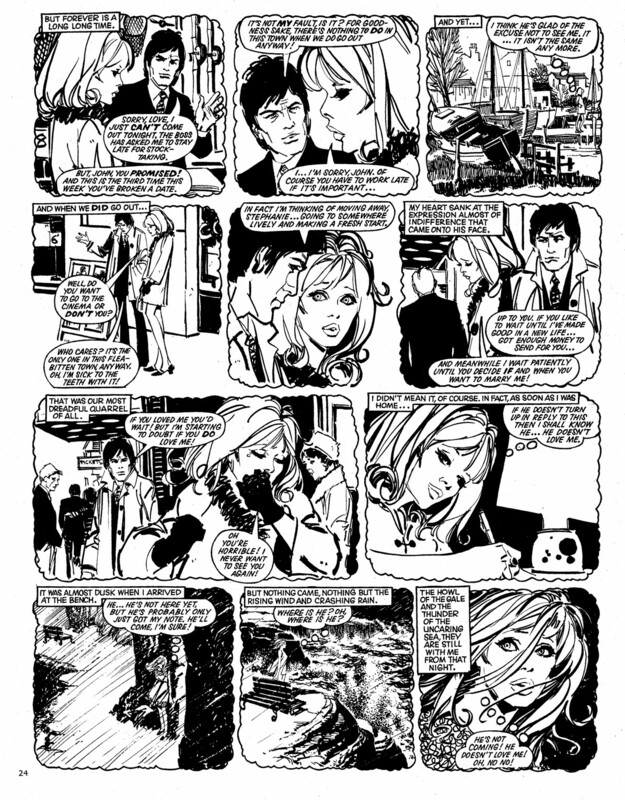 Between 1963 and 1965 Luis drew for a variety of British romance titles, mixing lengthy stories in the small format, monthly Picture Library comics with occasional strips for the larger weeklies. He soon become friendly with Pepe Gonzalez who became something of an artistic mentor to the teenager whose work in this period was clearly drawn under his influence. 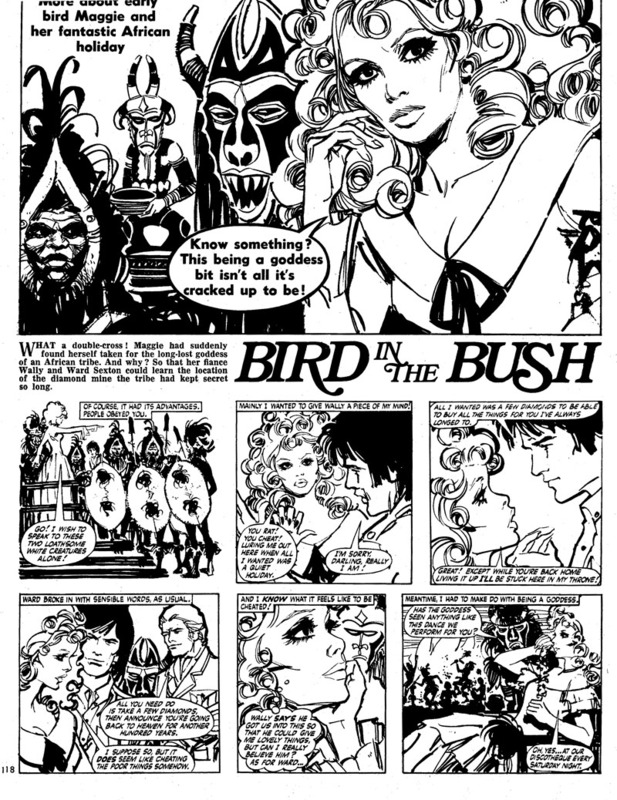 Gonzalez himself had only just established himself on the British comics scene a few years earlier but it was clear immediately that he was an exceptional talent. Like Gonzalez, Luis could draw astonishingly well and at times their work was almost indistinguishable from each other. 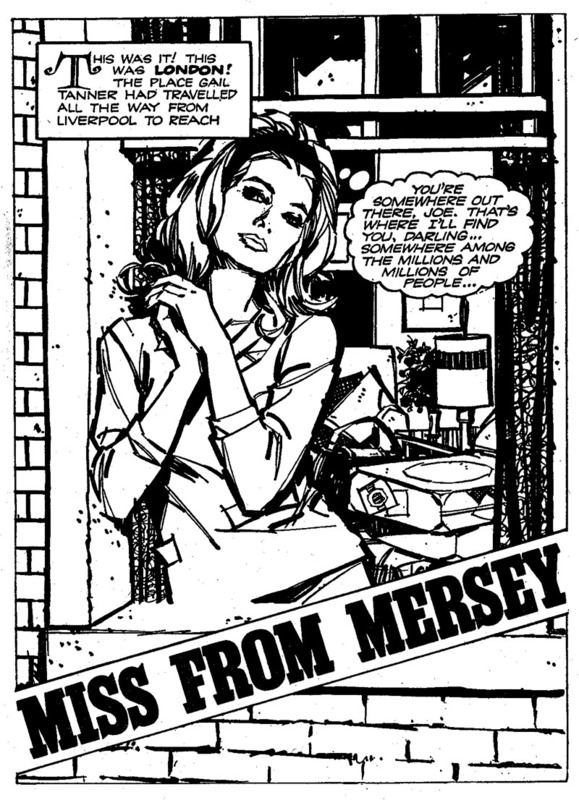 “Miss From Mersey” in Love Story Picture Library which was published in 1964 has often been mistaken for a Gonzalez art job but was in fact drawn by the 18 year old Luis, with only the occasionally ragged ink line suggesting it was anyone other than the future Vampirella artist. Beginning in 1966 much of Luis’ commissions came from the weekly comic Mirabelle where he began to throw off the influence of Jose Gonzalez and firmly establish his own style. Here he was given lengthy serials to illustrate often featuring moody loners wandering around the country (invariably breaking a different heart each week), the longest running of which starred the enigmatic songwriter Simon Slade. Probably the finest example of his mature romance style was “Strange Memory” which appeared in the 21st July 1968 edition of Mirabelle. Here you can still see the immaculate draughtsmanship and idealised figures of his Pepe Gonzalez period, but rendered with the expressively dynamic brush lines of Jorge Longaron. The style was effectively a synthesis of the two schools of romance art and it could be said that his work of this period is the very epitome of The Spanish Romance style. The emergence of this style, which would come to dominate British romance comics for over 20 years had various sources, as Luis remembers; ”I never had a specific model in the early days for my romances but I would look at photo’s from fashion magazines and change their expressions to suit the story. Eventually, after years of drawing these girls I could recreate them from memory. We were all also inspired by the American illustrators and like the other artists at S.I., I bought the annual Illustrators book which published the best illustrations of U.S. artists each year." Another source of inspiration and reference was the steady stream of photo romance novels which were enormously popular in Europe at the time. 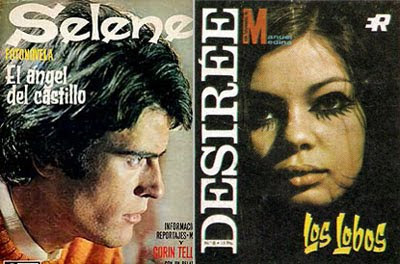 S.I often supplied scripts and models for some of these and Luis himself was the romantic lead in 25 of them – occasionally starring with his girlfriend Carol de Haro. 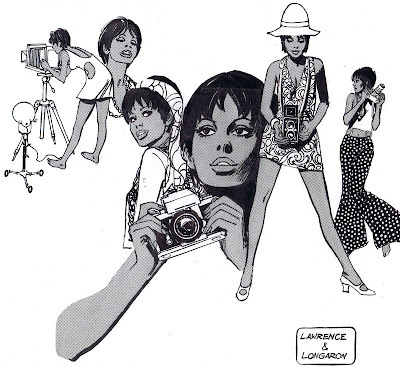 As these photonovels subsequently got passed around the studio Luis would often find himself being drawn into comic strips and many late '60s romance strips feature him as the dashing hero! Following the break up of the commune Luis returned exclusively to romance comics again. In fact throught 1967 and '68 British readers could find at least one of his strips in Mirabelle or Valentine practically every week. 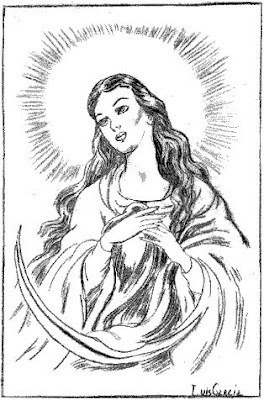 These were attractive, dynamically rendered strips that were drawn by this point resolutely in his own unique style. But having experienced both new genres and new ways of thinking it was becoming harder to feel satisfied with endless variations of the same old themes. As Luis remembers today, ”I really enjoyed doing romance comics. In addition to the money that was being paid I enjoyed drawing them. But finally, for me it became very boring because I had other interests." We shall see tomorrow quite where those interests would lead him. Next: London and New York. On the cowboy drawing at the top of the post, does he have six fingers on his left hand? Sure looks like it. I made a fist for comparison and from my estimation I think he was trying to show how the pad of the palm bulges out slightly beyond the last knuckle when the hand is in that clenched position. Seeing as he was 14 when he did that drawing, I think we can forgive him for not quite getting it right, eh Dallyn? That is what I was thinking it was too, but was unsure. 14?, Holy Cow! I bow to his greatness! Great stuff here. I look forward to this sight every week! Keep it up!